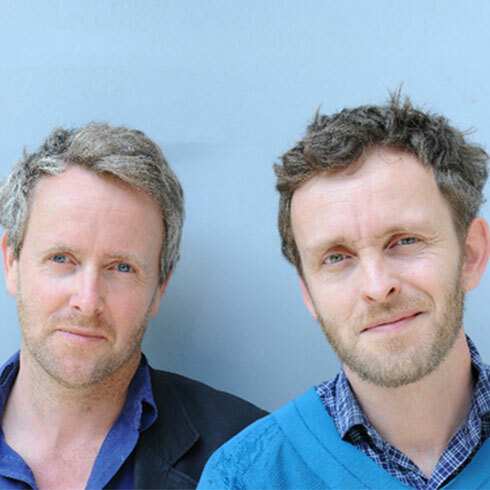 Ronan Bouroullec (born 1971) and Erwan Bouroullec (born 1976) have been working together for about ten years now. In 1997, they presented their "Disintegrated Kitchen" at the Salon du Meuble in Paris and were spotted by Giulio Cappellini, who gave them their first industrial design projects. In 2000, Issey Miyake asked them to design a space for his new collection in Paris. Then, the decisive meeting with chairman of Vitra occurred which resulted in their conception of a new kind of office system. This was the beginning of a special partnership which has borne fruit in numerous projects. Today, Ronan and Erwan Bouroullec design for numerous manufacturers. At the same time, they maintain an experimental activity which is essential to the development of their work at Galerie kreo, Paris. They also embark on occasional architectural projects. Voted Designers of the Year at the Salon du Meuble in 2002, their other awards include the Grand Prix du Design (Paris, 1998), the New Designer Award at the International Contemporary Furniture Fair (ICFF New York, 1999) and the Finn-Juhl Prize (Copenhagen, 2008). Several exhibitions have been devoted to their work. : Design Museum, London (2002), Museum of Contemporary Art, Los Angeles, the Museum Boijmans van Beuningen, Rotterdam, and La Piscine, Musée d'Art et d'Industrie, Roubaix (all in 2004), at the Villa Noailles, Hyeres (2008) and at the Grand Hornu, Belgium (2009). Two monographs books have been published about the design of Ronan and Erwan Bouroullec: Ronan et Erwan Bouroullec – Catalogue de Raison (Paris: Images Modernes / Kreo, 2002) and Ronan et Erwan Bouroullec, (Paris: Phaidon, 2003).